The latest painting I finished recently, is a commissioned surrealist double portrait that turned eventually out realist. I’m writing about this picture from left side of that commission. 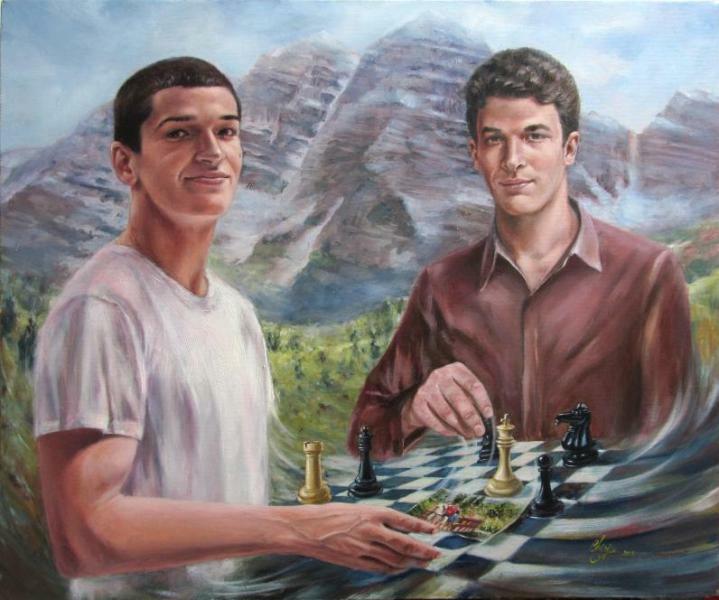 It’s a realist, somehow surreal :), portrait of two brothers playing chess having the Rocky Mountain’s Maroon Bells peaks as background. – insert a picture of him with his sons in the painting composition. These are the reference pictures for this commission: the two brothers and the pic that connect them all together as a family. 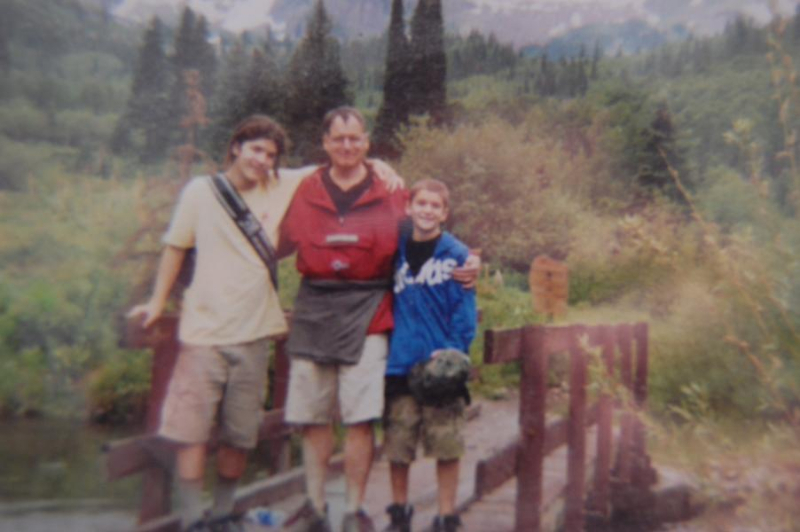 This picture was took at the Rocky Mountains near Maroon Bells Peaks. I did this initial sketch hoping the commissioner will agree with as I like it very much. Well, he didn’t, finding it being… too surreal. 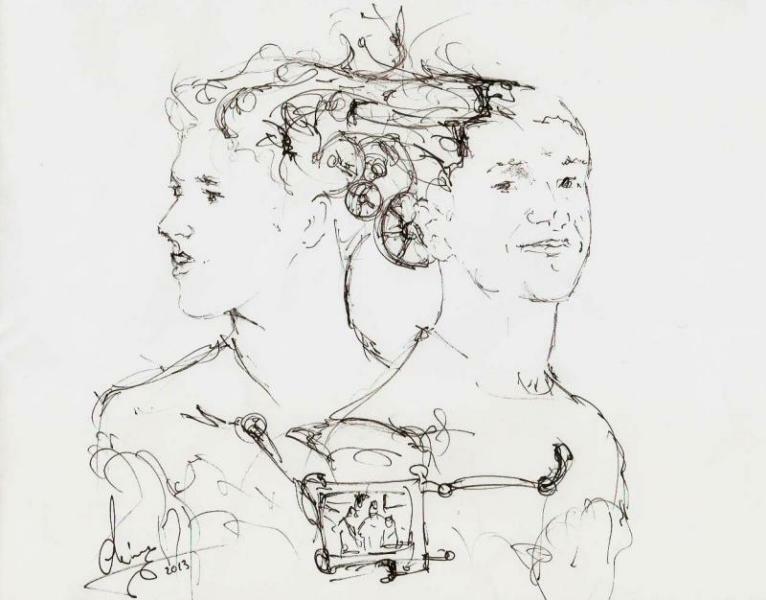 Yet, I still think this sketch is a nice one and pretty good for a surrealist portrait. Do you like it? Write a comment bellow. 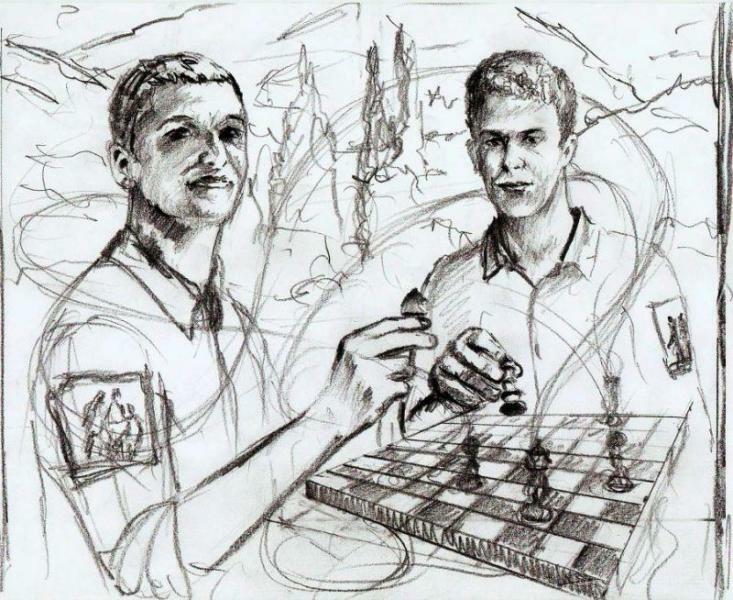 Would you like your family ones or friends portrayed somehow similar to this sketch? Just send me a note – go to contact page. The commissioner also asked me to use the landscape on the background from the picture of him and his sons that he sent to me. After some email discussions, I came up with this second sketch which is a much less surrealist composition then the first one. It’s mostly realist as you can see. 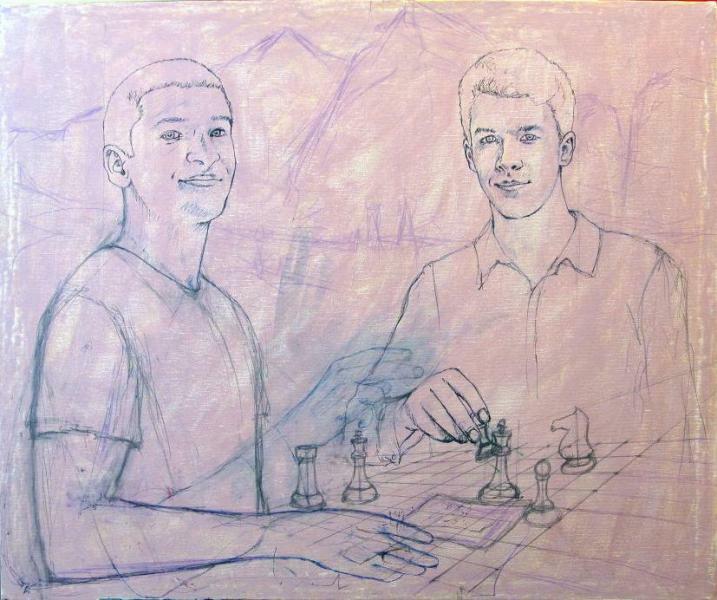 Because the commissioner told me about his sons that they are opposing characters and they’re not friendly each other, I’ve thought that depicting them playing chess would suggest their opposing character features. He liked this last proposal of the painting composition . From now on, no changes will occur on the painting composition. As you can notice, the portraits came out realist more than surrealist. – there is a third surrealist “composition element” in the painting …but..I let you discover it by yourself. Write it in a comment if you notice it. 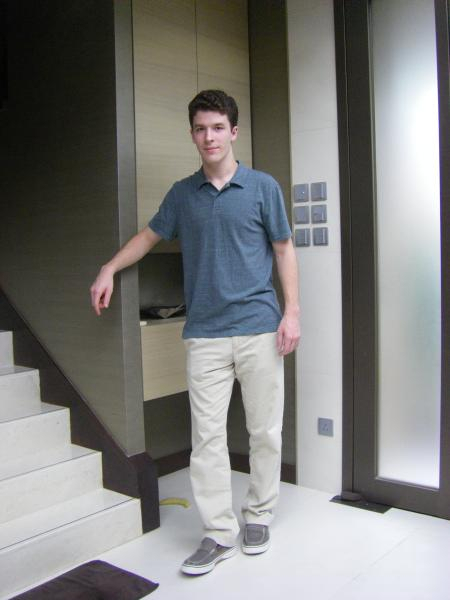 I’m eager to read your comments! And this was how I dealt this commission of a surreal painting composition with Rocky Mountains Maroon Bells in the background and two realist portraits… quite difficult but done eventually! Do you want your own surrealist or realist portrait painting? Click contact me to go to my Contact me page and send me a message!